A short time ago, we shared the 4 best books to help you succeed in the music industry. The music business is complicated, it’s competitive, and it’s a risky way to earn a living unless you understand the rules of the game. Those books are useful for anyone pursuing a career in the music business. But today, we want to focus on the best practical information to become an expert in one particular skill: songwriting. Songwriting is the bedrock of the music industry. The record industry captures songs on vinyl or in digital files and sells them to listeners around the world. The radio industry focuses on playing the best songs to the greatest number of people. And of course, artists around the world earn their living performing great songs. But how do you actually write a song that can make another person fall in love, cry, dance? These five books have taught thousands of songwriters, including Grammy Award winners, how to master the craft of songwriting. On our last reading list, one book received our recommendation above all the rest. Well, this list has another superstar book which is simply unmatched for practical usefulness and quality, and that’s Pat Pattison’s Writing Better Lyrics. Pattison teaches songwriting at the Berklee School of Music, and his students have gone on to win multiple Grammy awards. Two of those students actually contributed back to a chapter in Writing Better Lyrics: Gillian Welch and John Mayer. It’s no surprise this book has been a staple of songwriters for twenty years. Lyric writing is a technical art. The stronger your technical ability, the better you are able to express your ideas in a song. This doesn’t mean you have to deconstruct and crush the magic out of your songs; instead, it’s about making sure that when the magic shows up, you’re not held back by your technical ability. You can write exactly what you want to say, how you want to say it. Writing Better Lyrics is best thought of as a solid overview or blueprint of the tools of songwriting, rather than a detailed examination. Most people find that the hardest part of writing is conveying emotion well. Music is an inherently emotional experience, and listeners want to feel emotion when they hear a song. All successful songs rely on this ability. Of course, this is easier said than done! 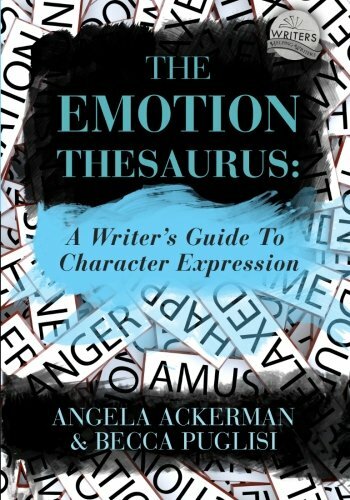 But one of the best tools to help you do the job is The Emotion Thesaurus by Angela Ackerman and Becca Puglisi. Everyone has heard the mantra “Show, don’t tell.” This book gives you the necessary tools. With the greatest talent, tools, and teachers in the world, you will still fail as a songwriter if you don’t sit down and do the work. The greatest obstacle facing most songwriters is nothing external; it’s yourself. The War of Art is a short, practical guide for creative achievement. It’s an instruction manual for overcoming your internal blocks and struggles and simply doing the necessary work to succeed. Steven Pressfield is now a bestselling author, but for the first 17 years of his career he was a clear failure. Unable to complete a novel, unable to convince a publisher to support his work, Pressfield only managed to collect his first paycheck as a writer after nearly two decades in the industry. It was during this creative drought that he realized that his greatest obstacle to success was simply sitting down, doing the work, and finishing. That knowledge was compressed down into The War of Art. The book is written from the perspective of a novelist, but his thoughts are directly applicable to a songwriter working on a new song or a full album. 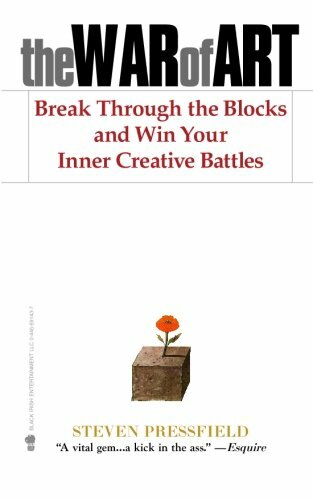 First, the book identifies all the blocks you’ll likely face creatively (including the most common, “writer’s block”). Then, he establishes a step-by-step campaign for overcoming those blocks and mastering your art. Anyone driven to create inspiring work should read this book — especially songwriters. It’s had a greater impact on my creative career than any other book, and I hope it can have the same effect for you. The deepest insights often come from the great artists themselves. Jimmy Webb is one of the all-time great songwriters; he’s a multiple Grammy winner across three categories, a Nashville Songwriters Hall of Fame member, and his song “By the Time I Get to Phoenix” is the third-most performed song in the last fifty years. 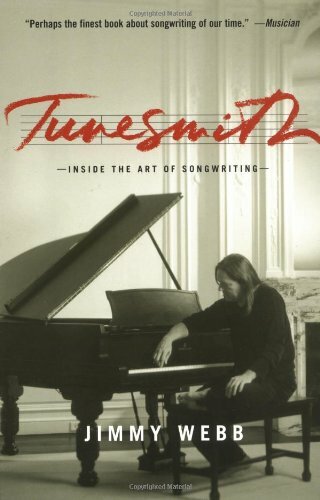 And his book, Tunesmith, is a detailed look at his creative process from start to finish. There are two major themes to this book. The first is about overcoming blocks, moving past the struggle to create, and simply doing the work — a sentiment which closely echoes Pressfield’s words in The War of Art. The second theme is all about how to tap into the creative spirit and craft a compelling song. At more than 400 pages, it’s a lengthy read, but that speaks to the level of detail Webb puts into describing exactly how he’s written hit after hit song. From coming up with ideas to matching chord substitutions to his favorite rhyming dictionaries and even self-promotion, Webb holds nothing back. What Tunesmith has in detail, Paul Zollo’s book has in breadth. 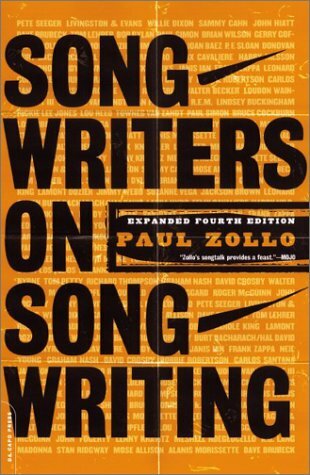 More than seventy of the greatest songwriters of all time described to Zollo exactly how they write their songs. Each interview skips directly to one question: how do the best songwriters in the world write timeless songs in an industry that focuses on new material above all else? 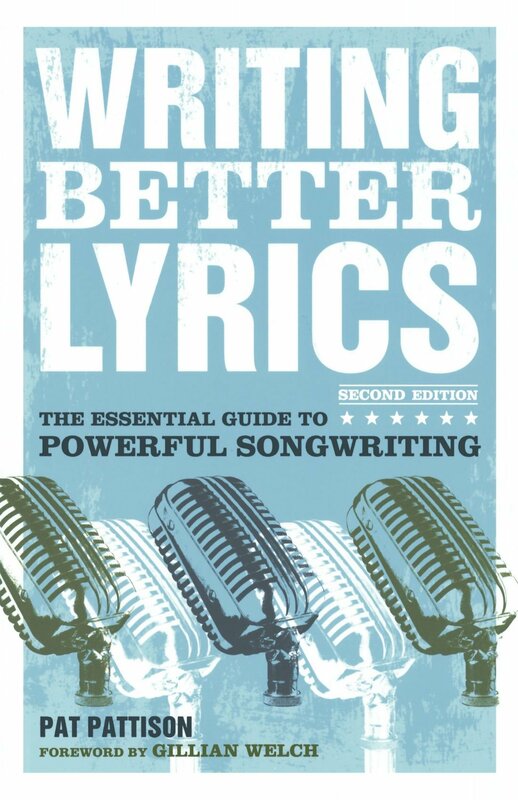 The book is a treasure trove of collective wisdom about songwriting. No time is wasted on the music business, self-promotion, or other knowledge beyond how to write a great song. Some of the songwriters and artists interviewed include Bob Dylan, Neil Young, Leonard Cohen, and Madonna.